After giving a little bit relieved to the citizens of India by decreasing the rate of petrol and diesel by Rs 2.50, BJP leaders are started hailing the decision of the Central government on the micro-blogging site. On the other hand, Opposition mocked the government decision. 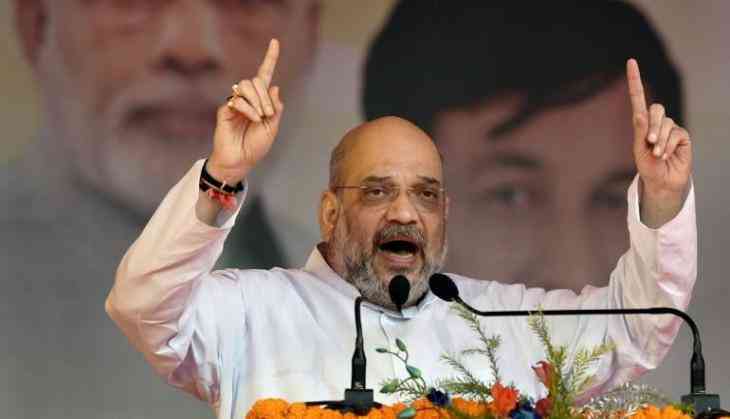 BJP President Amit Shah said that he welcomed the decision of Modi government to reduce the petrol and diesel prices by Rs 2.50 per litre. He appreciated and also said that the decision shows the sensitivity towards the nation and its people. BJP leaders join the Twitter thread to applaud the decision. Thanks to PM @NarendraModi & FM @ArunJaitley, consumers have been provided relief by the slashing of Petrol and Diesel prices by Rs 2.50/litre. I congratulate CM @Dev_Fadnavis & CM @VijayRupaniBJP for further reducing prices by Rs 2.50/litre, giving a total relief of Rs 5/litre. In a reaction, Opposition mocked the decision of Jaitley, who announced during a press conference to cut down the price of petrol and diesel. Congress leader and former finance minister P Chidambaram said that "An oil revenue dependent-government has belatedly realised the unbearable burden on the people and indulged in tokenism." While other Congress leader said that the price cut will not make any huge difference in the rate of fuel price.